No result found for "" in items you can bid/buy. Setup a Wantlist for "" and we can notify you by e-mail when this item comes up for auction. Using "quotes" around your search phrase can help narrow the results to exactly what you are interested in. A search for Franklin Roosevelt without quotes will return all results that contain both "Franklin" and "Roosevelt", in any order. A search for "Franklin Roosevelt" in quotes returns all results with the exact phrase Franklin Roosevelt, in that order. This will produce more items, and once you see how the items are listed, you can narrow your search results with more accurate words. If you're looking for only minerals, by all means choose "minerals" from the drop-down list. If you're searching for items that span multiple categories, choose ALL from the drop-down. The search from our home page covers everything we have to offer, whether in auction or inventory. Try that first. 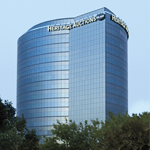 If you aren't interested in auctions, click the SALES tab above to access items only in our multi-million-dollar inventory. To locate items only in our current auctions, click the AUCTIONS tab above. Maybe it's a name (like Washington), or a type of item (Autograph Letter Signed), or a year (1789). Perhaps the item you want has a model number (1100) — use that as well. When you use multiple words, the search engines will try to find items with all of those words in the description. Try using "OR" and "NOT". If you're interested in items from either the Gemini or Apollo missions, you can enter "Gemini OR Apollo". This would limit your search to just items with either of those two terms in the description. Or, if you are interested in space mission insignia patches from after the Mercury missions, you can enter "patch NOT Mercury". Don't use commas, periods, dashes, etc., unless required — such as in a name like Ben-Gurion.